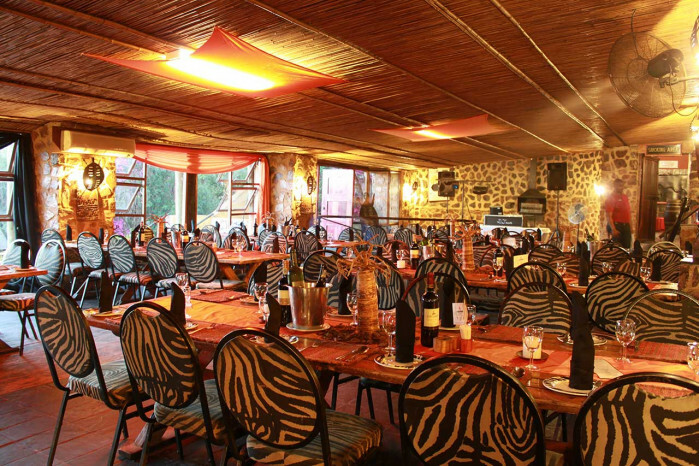 The Carnivore Restaurant situated in the countryside of Muldersdrift overlooking the Krugersdorp hills, is next to the Misty Hills Hotel. 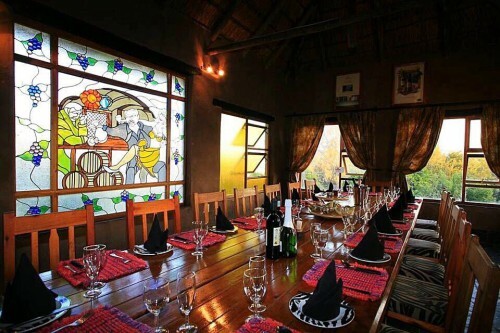 Access to this fantastic restaurant is through a stunning thatched walkway surrounded by indigenous gardens and featuring a magnificent water feature. 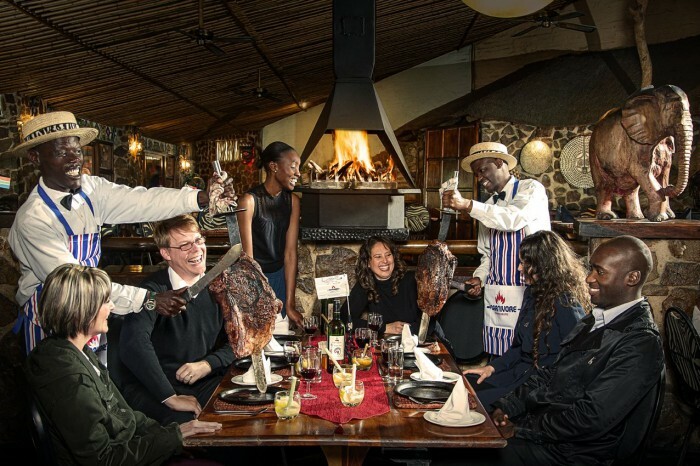 The restaurant is situated around a huge open fire, surrounded by 52 Masaai tribal spears holding 10 different types of meat such as pork, lamb, beef, chicken, ribs, sausages and for the more adventurous, meats such as crocodile, zebra, giraffe, impala and ostrich. 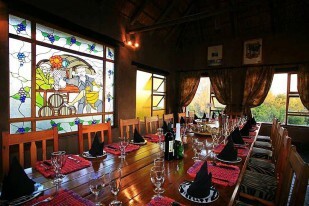 Begin your dinner with the freshly made soup of the day and hot-out-of the oven, honey baked bread. 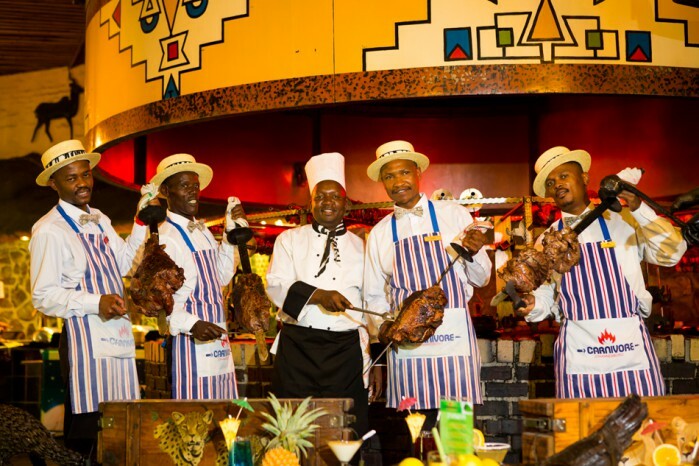 A serving tray is placed on the table, with the bottom layer filled with fresh salads and the top layer offering six servings of meat sauces to compliment your main. 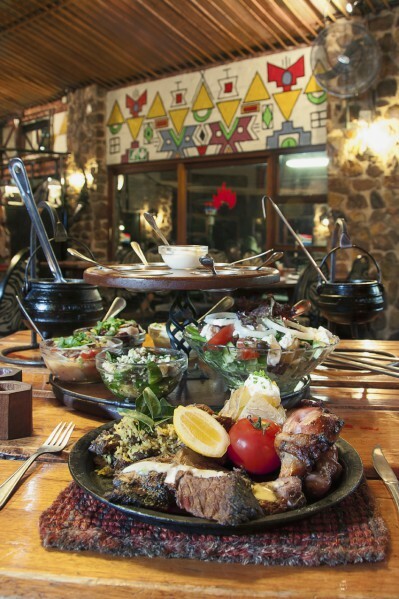 A piping hot cast iron pot is placed in front of you, followed by two potjieskos pots containing "pap and sauce". 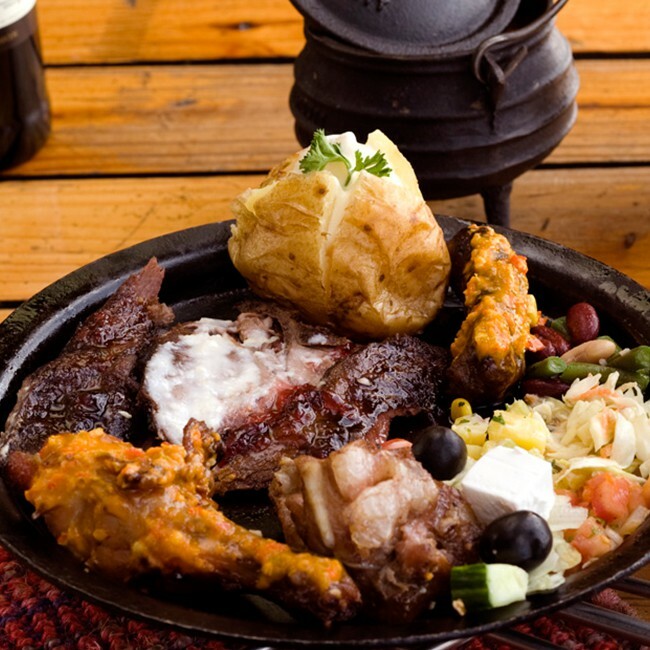 A deliciously crisp baked potato complements the meal. 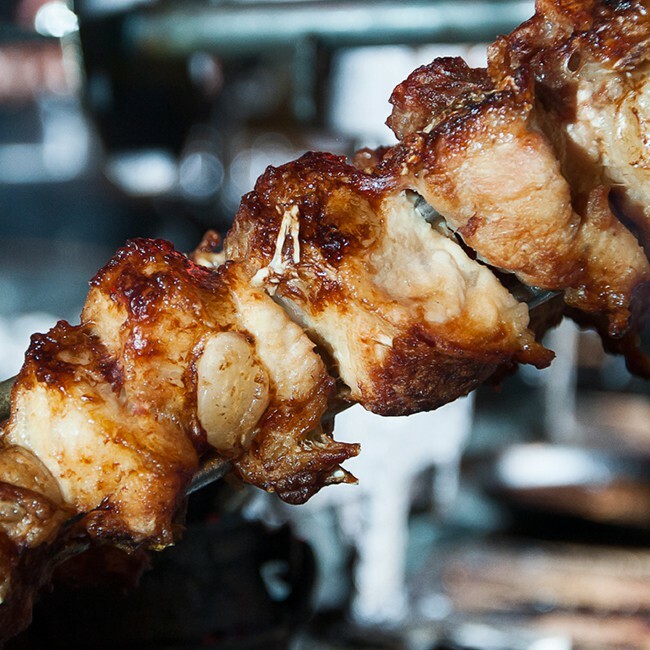 Carvers bring the spears holding the meat from the fire and carve the cuts of your choice directly onto your plate. 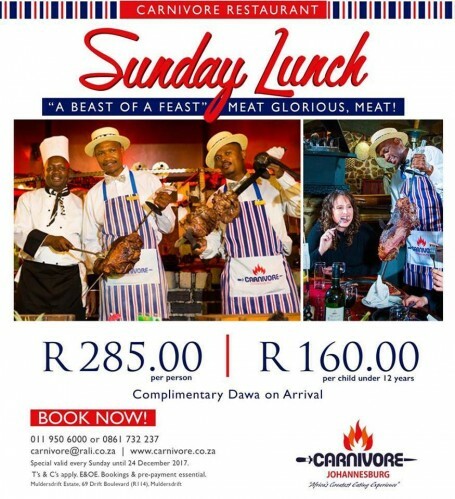 Diners can enjoy at least ten different types of meat and three game meats. 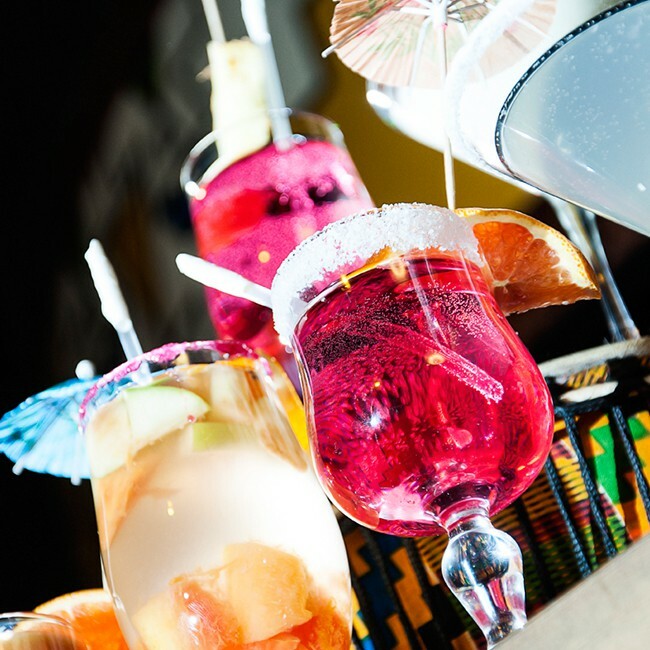 After your succulent main you can choose from five different desserts and a choice of coffees. 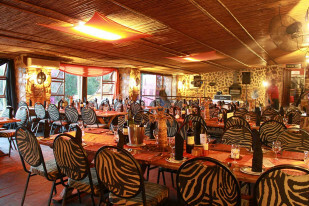 ‘Eat as much as you can’ at the Carnivore Restaurant in Muldersdrift! 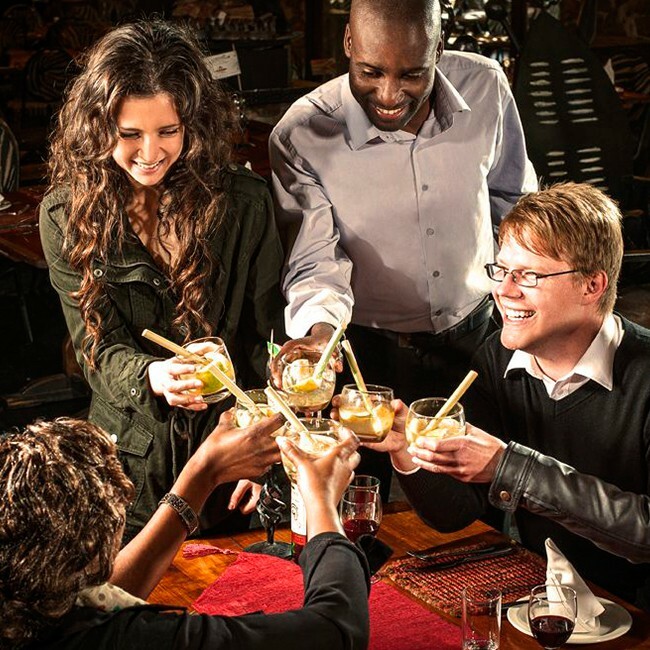 The flag at each table is only lowered when you have had enough to eat, so get stuck in and enjoy a true South African eating experience. 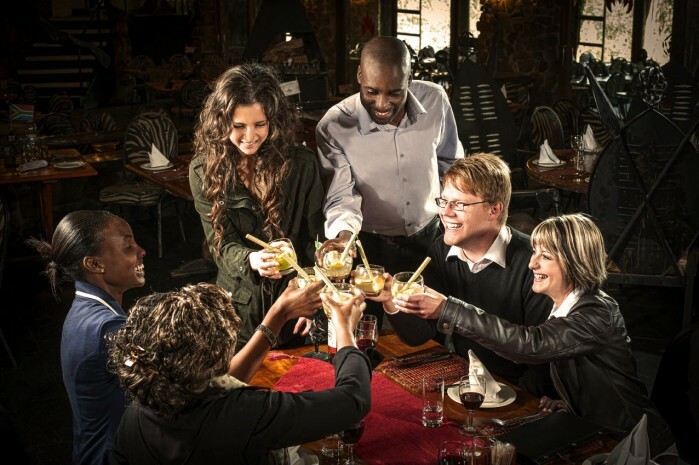 Vegetarian cuisine is offered for non-meat eating patrons. 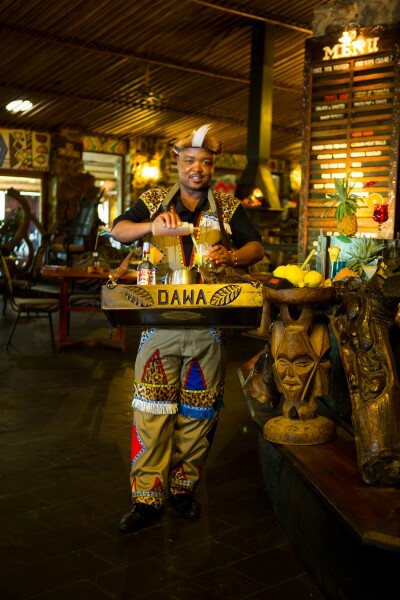 Enjoy African dining at its best! and a minimum of 5 game meats. 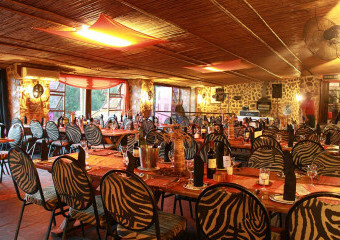 crocodile, zebra, giraffe, impala, ostrich, etc. 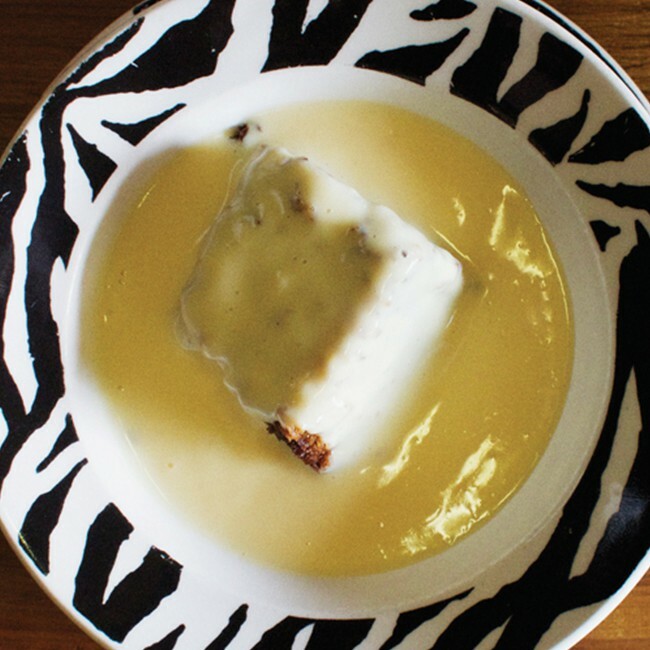 Chopped vegetables served between layers of pasta and covered in cheese. 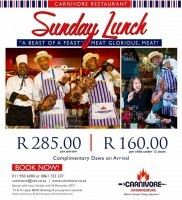 The Carnivore Experience - A Beast Of A Feast! 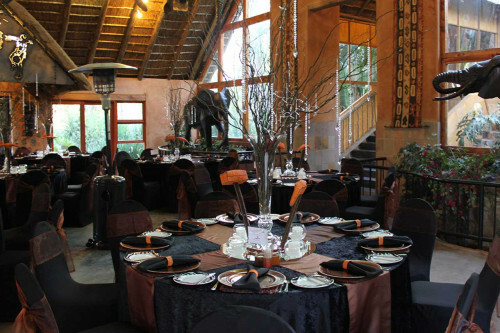 Did you know, we have an upstairs dining area, which is perfect for private functions. 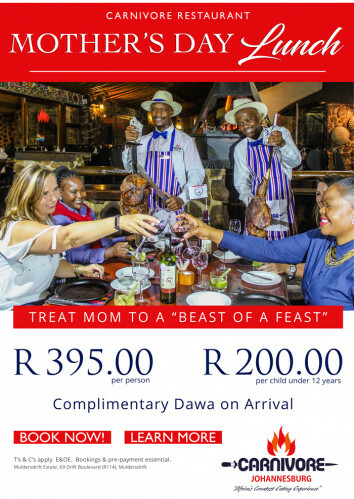 Treat mom to a “Beast of a Feast” this Mother’s Day!